When Nomura Global Research unexpectedly parted company with credit-rating agencies by downgrading Malaysia’s equity market to ‘underweight’ from ‘neutral’ previously, it hardly caused a stir except to invite a spirited response from Finance Minister Lim Guan Eng. To counter Nomura’s claim that the government has stalled on institutional reform, Lim highlighted that fiscal management is being revamped. The introduction of zero-based budgeting, or ZBB, will ensure that the government will use a fine-tooth comb to scour every expenditure package to ensure that it delivers net public value. The inexorable shift from cash to accrual accounting of public expenditure will ensure that the government and public will be better appraised of the government’s balance sheet. It will also lead to a better management of public assets. And the recently-constituted tax-reform committee and public-finance committee should offer proposals for revenue diversification. Admittedly, the Goods and Services Tax, or GST, was an efficient tax initiative. It netted more consumers into paying taxes, thereby enlarging the government’s revenue base. Although less efficient but more equitable than the GST, the Sales and Services Tax, or SST, is doing better than expected in generating revenue. The finance minister happily noted that there was over a one-third jump in SST collection to RM5.4 billion in 2018. 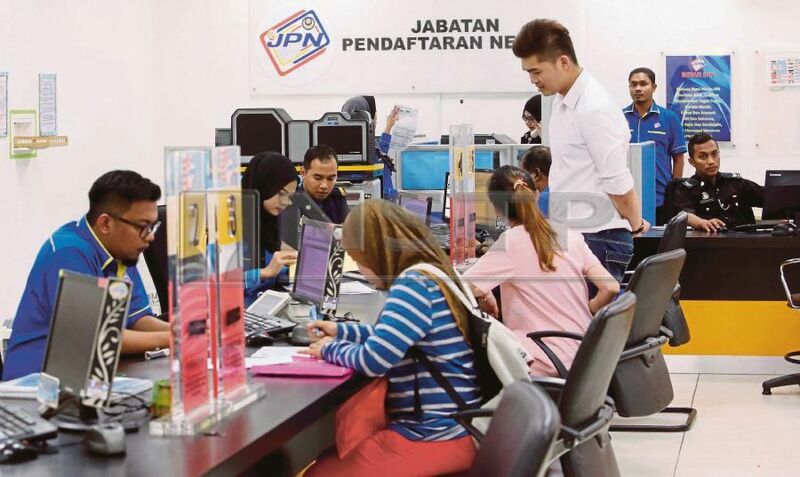 The anticipated RM10 billion in increased revenue collection by the Inland Revenue Board from its amnesty programme should compensate for any revenue shortfall from the decline in oil prices. The recent uptick in oil prices offers further cheer that the government is on track to meeting its 2019 budget deficit target of 3.4 per cent of gross domestic product or GDP. Nomura’s finding that the government was not doing enough to stem corruption is rather judgmental. The recent spate of appalling news of big fish being caught for corruption should be reassuring enough that the government is serious about tackling corruption. Proposed changes to the Malaysian Anti-Corruption Commission Act to bring about greater transparency on beneficial ownership of business and the newly minted National Financial Crime Centre to check money laundering should further bolster integrity in business dealings. The cloud of uncertainty over the orderly political-leadership succession, as agreed before the 14th General Election has also been lifted. Firm statements to that effect by Prime Minister Tun Dr Mahathir Mohamad and ministers are testament to that arrangement. Although the threat of a credit-rating downgrade by ratings agencies has faded, Nomura’s admonition should not be dismissed outright. Nomura did highlight our overdependence on oil-related tax revenue. That dependence has spiked from 15 per cent of total revenue in recent years to 20 per cent, not including the one-off special Petronas dividend. That inclusion will take our oil-related tax revenue to 30 per cent. Nomura also exhorted that reforms should proceed apace. Indeed, others are in the pipeline as the government has set a three-year timeline to further reform not only fiscal management but also the three branches of the government. Seepages in public expenditure must be addressed quickly. Naming, shaming and sanctioning errant individuals involved in wrongdoing should send a sliver of fear among those who seem lackadaisical regarding public expenditure management. ZBB will greatly be aided if agencies undertake fundamental evaluations on the efficacy of their programmes and activities. Evaluations, which are more long-term in nature, will enable agencies to know whether programme expenditures have achieved their desired outcomes. The evaluation results should then inform agencies whether to enlarge or shrink the scope of a programme or activity or terminate it altogether. Sunset clauses that require agencies to evaluate programme performance after a specified period of years should therefore be inserted to any expenditure package or programme. Public-expenditure reform should also look into big-ticket items such as emoluments and retirement charges. Pay increases should be on the back of productivity improvement. Constituting some 10 per cent of the operating budget, retirement charges are a ticking ‘time-bomb’. At the current annual growth rate of about 12 per cent, they are expected to hit RM100 billion by 2030 or one-third of current annual public expenditure. Viable alternatives such as contributory pensions for fresh recruits need to be quickly found. Charges for public services, too, should be reviewed so that those who can afford should be made to pay as close to the full cost of services as possible. Once institutional safeguards are well-embedded in the fabric of public expenditure management, departments should be given full autonomy to use their budget to ensure greater success in achieving outcomes. Some expenditures cannot be contained within any one budget year. As such, agencies should be allowed to carry over to the following year savings in a particular year. This will ease the pressure on agencies to exhaust their allocations through year-end ‘shopping’. It will also be good if agencies can borrow from their future allocation, with a payment of a specified interest rate, should they be in need of funds to execute a programme in a particular year. Institutional reform is like being on a moving treadmill. If we are slowing down, then in no time, we shall be thrown off our trajectory. Therefore, moving forward on reform is not a matter of discretion.